Purchase this product now and earn 25 Reward Points! 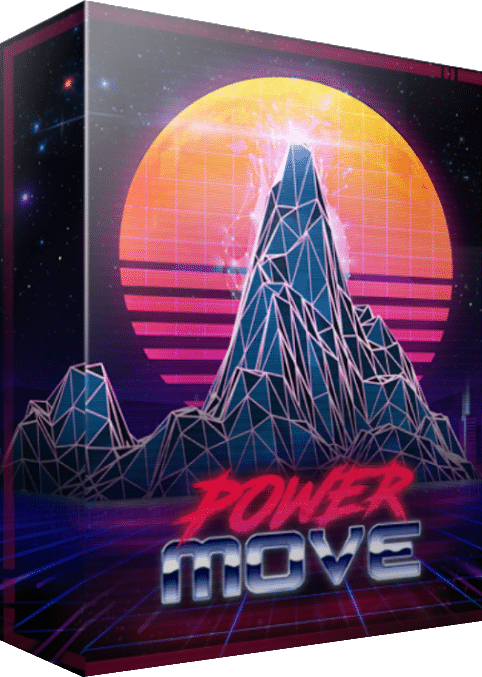 Power Move was created with one goal in mind: to re-create that warm, vintage, retro futuristic sound we remember from the 80’s (nowadays called “Synthwave“). The entire library has a distinct analog sound and feel and every patch you play instantly transports you back in time. The inspiration for this library was drawn from multiple sources in both Synthwave and 80’s styles including modern films like Drive, Stranger Things, The Guest and Kung Fury to classics like Big Trouble in Little China, Knightrider and Bladerunner. We also were influenced by the work of Synthwave artists including Futurecop!, Gunship, Perturbator, Miami Nights 1984 to 80’s composers & producers such as John Carpenter, Vangelis, Depeche Mode and more! With pulsing arpeggios, crystalised keys, warm pads, classic drums and so much more, the library is guaranteed to inspire, while being so much fun to play! 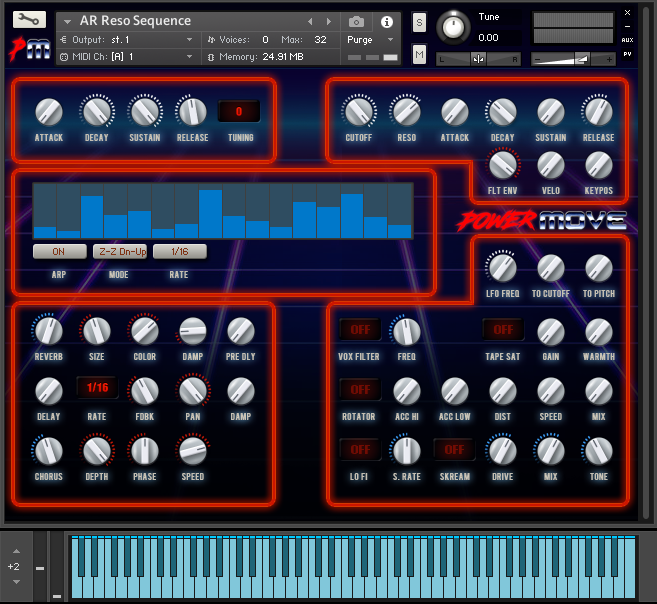 A Massive 2GB Library of Classic Synths and Drums! 2GB of Retro Drums, Bass, Keys, Pads, Leads & More! 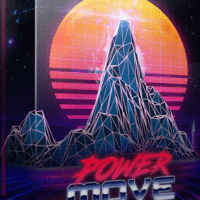 Unlock the cheese and relive the music from the best musical decade ever with Power Move for Kontakt! 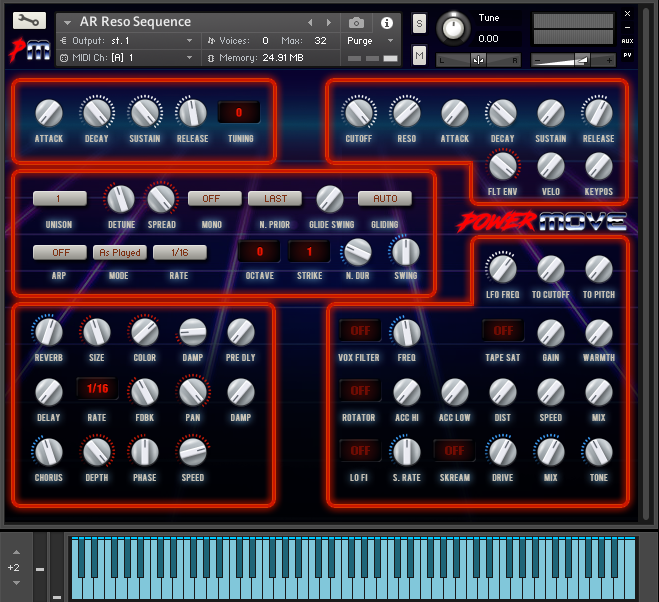 Built in Arpeggiator For Those Classic 80’s Arps! 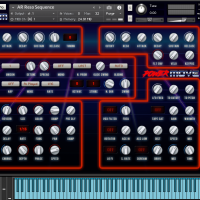 Arpeggiated patterns are one of the main staples of Synthwave and Retro tracks. Whether at the forefront of the track, or sitting in the background of it, arpeggios creates a sense of driving and rhythm common to the style. 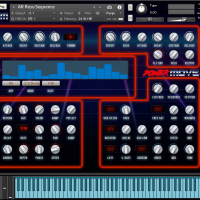 Every patch in Power Move has a simple arpeggiator built into the GUI so you can easily just load up any instrument, turn on the “Arp”, select your mode (eg. “Up & Down” etc.) and Rate (eg. 1/16) to go straight back to the future! Load up a Lead, flick on the Arp, hold a chord and prepare to unlock the cheese! Perfect for Synthwave, EDM, 80’s, Retro, Synth Pop and more! Check out this great review that Power Move received from Mike at “Fox Audio“. Inspiration drawn from modern film scores like Drive, Stranger Things, The Guest and Kung Fury to classics like Big Trouble in Little China, Knightrider and Bladerunner. Perfect for all types of EDM including Synthwave, 80’s, Retro, Synth Pop and more!